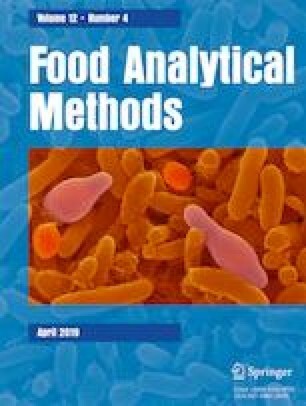 A novel surface plasmon resonance (SPR) immunosuppression chip was developed for the reproducible and label-free detection of amantadine (AM) in animal-derived foods. Under the optimal conditions, the proposed SPR immunochip presented a good signal response to AM in the concentration range of 0.05–25.0 ng mL−1, exhibiting high sensitivity (IC50 4.0 ng mL−1) and a low detection limit (IC15 1.3 ng mL−1) and cross-reactivity (rimantadine 16%; others < 1%). Each chip could be reused for 60 times with good stability. Further, sample loading/chip regeneration/baseline recovery was completed within 6 min. The spiked and recovery experiments presented acceptable recoveries, 80.2–102.9% with good precision (relative standard deviation [RSD, n = 3] ≤ 5.2%) in the selected matrix samples, being confirmed using an HPLC–MS/MS method with a correlation coefficient (r2) of 0.98. This proposed SPR immunochip provides a reliable, fast, and cost-effective analytical strategy, with superior potential for extension to the qualitative and quantitative analyses of other analytes in other fields. The online version of this article ( https://doi.org/10.1007/s12161-018-01424-0) contains supplementary material, which is available to authorized users. The authors also thank the researchers of Research Centre of Modern Analytical Technique, Tianjin University of Science and Technology, for their kind help in instrument operation. This work is financially supported by Tianjin Natural Science Foundation (No. 17JCQNJC14800), Basic Research Fees of Universities and Colleges in Tianjin (No. 2017KD01), Tianjin Municipal Science of Technology Commission (No. 15JCYBJC22400), Natural Science Foundation of China (No. 31501566), and the Foundation of Demonstration Center of Food Quality and Safety Testing Technology in Tianjin University of Science and Technology (No. gxb201804). Author Mingfei Pan declares that he has no conflict of interest. Author Jingying Yang declares that she has no conflict of interest. Author Shijie Li declares that he has no conflict of interest. Author Wenjun Wen declares that she has no conflict of interest. Author Junping Wang declares that he has no conflict of interest. Author Yumei Ding declares that she has no conflict of interest. Author Shuo Wang declares that he has no conflict of interest. All applicable international, national, and institutional guidelines for the care and use of animals were followed.